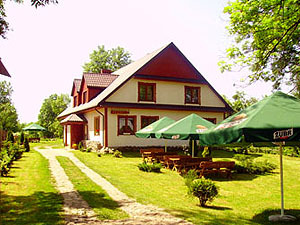 Bierozka lodgings are situated on a large estate at the entry to Białowieża located in the heart of the Białowieża Forest. For our guests we have 24 accommodation places in two and four-person rooms with bathrooms, TV and with a possibility of adding an additional bed. We also have a spacious fire living room. There is also a possibility of buying food.